A root canal treatment is a term that can make many people feel immediately anxious or uncomfortable, but with modern developments in dentistry, this is no longer a painful, stressful procedure. In fact, it can be a great way to help patients keep their original tooth, which can prevent additional problems with the structure of the face and jaw in the future. All teeth have a nerve and blood supply, known as the pulp, which is found inside the canals of the tooth. If the pulp becomes affected by decay or trauma it can become inflamed and painful, which if left untreated could lead to an infection and an abscess. A root canal treatment involves cleaning out the canals and filling them with a strong, durable dental material. Your dentist will take the time to explain the treatment to you and answer any questions you may have. To make you feel comfortable they will gently administer a local anaesthetic, which will mean you will feel no pain when the root canal treatment is carried out. It may take more than one appointment to carry out the root canal, but your dentist will explain this to you before they begin. Once treatment is complete the tooth may feel slightly tender for a couple of days, but it will quickly feel back to normal. 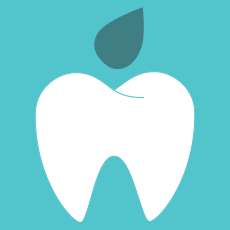 Depending on the position of the tooth and the degree of damage or decay, your dentist may recommend a crown or other restoration to ensure the treated tooth remains strong and protected. To find out more about this treatment or to book an appointment, please get in touch.